Greg Hughes is the Speaker of the House here in Utah. He is a Republican, a Trump supporter, and he’s a guy that everybody likes! On this episode we chat with Mr. Hughes about growing up poor in Pittsburgh, boxing, and, of course, politics. 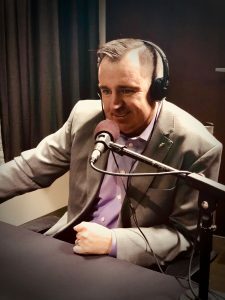 This entry was posted in Podcast Episodes and tagged Bill Allred, Greg Hughes, House of Representatives., Politics, Republican, Speaker of the House, The Let's Go Eat Show, Trump. Donald Trump, Utah. Bookmark the permalink.